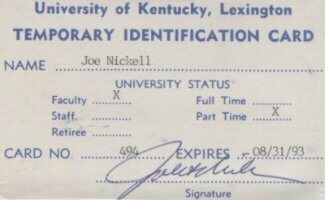 While working on my master's and doctor's degrees in English at the University of Kentucky, I was a teaching assistant (1980-1987), then continued as an instructor (once named Outstanding Instructor) until 1995 (when I became senior research Fellow at the Center for Inquiry). 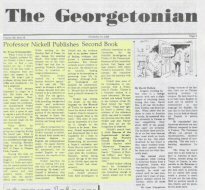 I also taught for a year at nearby Georgetown College in Georgetown, Ky. (where I was occasionally written up in the student newspaper, The Georgetonian, as in the 1988 clipping reproduced here). 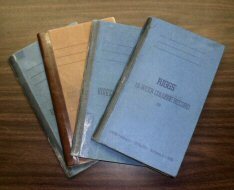 Also shown are a letter of recommendation from an Associate Professor as "one of the five or six best of several hundred instructors I have supervised over the past dozen years"; a teaching evaluation record; faculty ID card; Fall 1983 class schedule (showing me as a teacher of Technical Writing); and some of my grade books.